Here is a list of Hungry Shark World tips, tricks and strategy guides that will help your Shark grow from a pup into a 10 ton killing machine! The Sharks are back, and this time they are taking on the entire Earth! 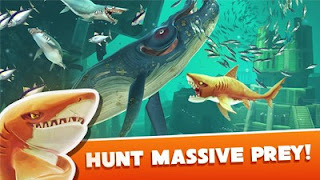 Hungry Shark World presented by Ubisoft Entertainment, opens up a brand new adventure with addictive fast-pace gameplay, console quality graphics, multiple massive levels to explore and epic enemies to chomp down! Hungry Shark World is the ground breaking new game that you will play until the end of time! Hope you brought your charger! 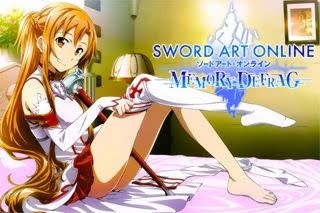 - The in-game store is on the first screen after you press the PLAY button on the start screen. You will also return to the Shop screen every time you leave the results screen after playing. Finally you can reach the shop by tapping the arrow labelled "SHOP" on the World Map Screen. - Below the shark upgrades are 3 buttons, tapping these will open a different shop category. - The shop screen will open to Shark Upgrades by default. Tapping one of the "Upgrade" buttons will cost you coins to increase the Speed, Bite or Boost stat of your current shark. - The category includes items that are not equipped to the current shark. For example the maps for each level. - This opens the Shark Accessories section of the shop. These are items you can equip to the shark to personalize them and increase their stats. This part of the shop is split into sub categories which can be opened by tapping the icons below the items. - Tapping the arrow will return you to the Shark Upgrades. - Items in the shop cost Gold or Gems. Both currencies can be earned by playing or by purchasing a pack from the IAP menu (Accessed by pushing the "+" on the top left). Gold is much more common so the items costing Gems tend to be more powerful. If you do not have enough Gold or Gems when trying to purchase an item the IAP menu will open. - Some items in the shop will be locked until you have fulfilled a specific condition. This condition depends on the item and can be found by tapping the "Locked" button. Do I Need to Grow My Sharks? What is the Benefit of Getting Different Sizes of Sharks? - Larger sharks can eat more prey and access areas that smaller sharks cannot get to. The sharks point’s multiplier also increases based on their Size. - Opening the Shark Select Screen. - Scrolling to the Shark you're interested in. - Tapping the "?" next to the sharks name. What do the HUNGRY letters do? - There are SIX letters spread out throughout each level. They can be found almost anywhere and their locations change whenever you start a new game. Every letter you collect will give you some Gold and Points! The more you collect, the bigger the reward! 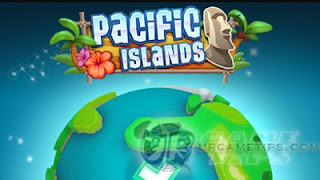 - If you're really struggling to find the letters, upgrade your map for each level to see their locations. This is accessed by Tapping the Pause button on the top right of the screen. If you have purchased the map already, the map will be shown if not you can buy the map from this screen. If you own the map but it has not been upgraded you can also upgrade the map from this screen. - See that bar at the bottom of the screen when you're in the sea? That's the GOLD RUSH bar. Every time you earn points, that bar fills up a little bit. When it fills up to the top, you trigger GOLD RUSH mode. - Now you have short window of time where everything you can eat turns gold giving you coins. Also during a Gold Rush, you have infinite BOOST! And to top it all off, you're also invincible for as long as it lasts. Oh hang on, that's not all - you'll also be given full health back too! How amazing is that? Well worth it. What is MEGA GOLD RUSH? - As a GOLD RUSH ends you will see a secondary bar appearing for a few seconds that is the MEGA GOLD RUSH bar. Each Gold Rush you trigger fills the Mega Gold Rush bar a little bit. Once the bar is full, you will trigger a Full MEGA GOLD RUSH! - Once triggered, you will get all the benefits of a Gold Rush but the fish turn red and for the duration, you can eat anything. Even stuff that's bigger than you! 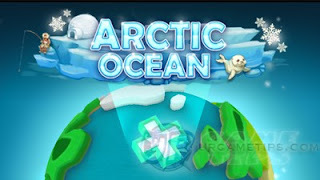 - When you eat a certain number of fish within a short time of each other you will gain a SCORE MULTIPLIER. You will see this in the top left corner of the screen - it will say something like '2X'. - If you continue to eat fish within short time frames the multiplier will go higher and higher earning you big points! I Don't Seem to be Able to Eat Large Enemies? - Some prey will only be eaten after you have grabbed onto them for a short while. Sometimes these prey will get away and will have to be grabbed again before being eaten. - If you're unsure as to what you can and can't eat, look out for the on-screen text messages telling you what size shark is required for any given situation. What Do the Different Maps Do? - Each level has its own BASIC map that can be bought from the shop. The BASIC map can be used to help you navigate around the level. 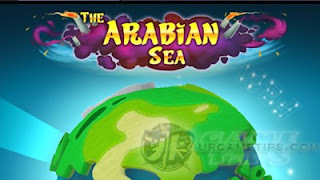 - In addition, each map can be upgraded to give you more information. An upgraded map shows you the locations of the HUNGRY letters and the treasure chests. How Do I Unlock New Locations? - To unlock new levels such as the Arctic Ocean or Arabian Sea you must unlock and play with as many different sharks as required. 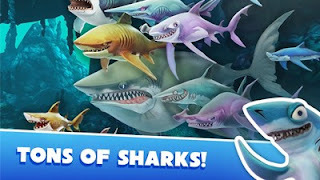 - If you select a locked level on the world map screen, the panel on the right will show you how many sharks you need to play as before the level will unlock.